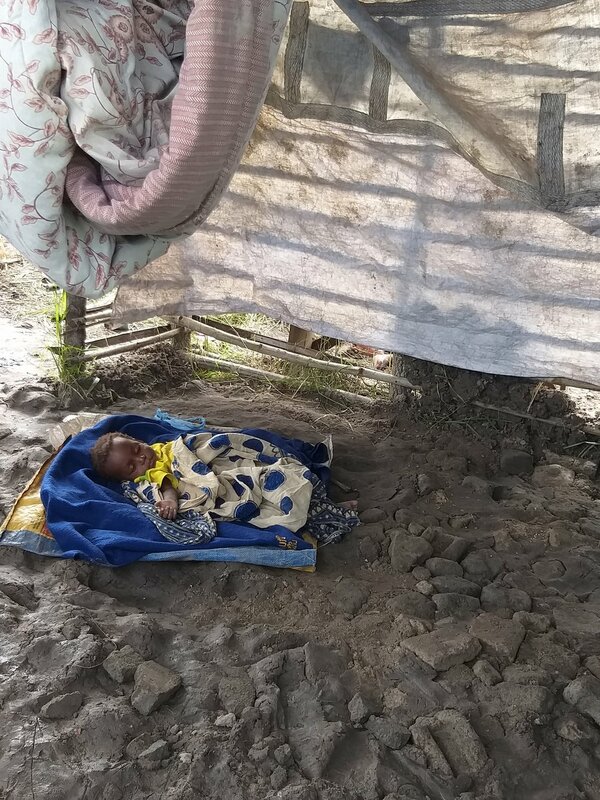 Children's Relief International is accepting donations to help with the Mozambican emergency relief efforts in the aftermath of Cyclone Idai. According to the Global Disaster Alert and Coordination System, Cyclone Idai made landfall in Mozambique at 11:30 PM on Thursday, March 14. The city of Beira and the surrounding area, including the village of Dondo, received the brunt of the storm. It continued from there to Zimbabwe and Malawi. The Category 3 cyclone brought winds over 120 mph and a storm surge of 7.5 feet. More than 1.85 million people have been affected in Mozambique alone. The government is reporting that so far 129,000 people have been displaced and 1,522 people have been injured. At least 447 people have died, and the death toll is expected to rise. Last week Mozambique President Filipe Nyusi said on the radio that it appears there will be more than 1,000 deaths. In hindsight this estimate now seems conservative. It continues to disperse large amounts of rainfall causing flooding and hypothermia. “The situation is terrible. The scale of devastation is enormous. It seems that 90 percent of the area is completely destroyed,” said Jamie LeSueur of the Red Cross. “Thank you for all your support and prayers. The catastrophe that has struck is both intense and immense. Our people are suffering, especially the children who don't really understand what is happening. The rains have not stopped. They pause for a time, but then begin again with torrential intensity. We reached an agreement with the government to assist about 550 people who are totally without shelter. They are living in a school building nearby. I've been buying rice, beans, macaroni and mats to sleep on. As I speak, we are feeding well over 200 children, about thirty of which belong to families in our church. Each day, I walk through the villages around Dondo consoling and praying with those who are struggling and who have lost family members. “On behalf of the Tessa Grace team, Project Life, the medical clinic and myself I want to thank God for life, and for the protection He has given us. It is true that the damage is enormous, but God has given us the opportunity to be alive. The house where Tessa Grace works did not have much damage, only the windows, padlocks, and some bars have small cracks. All of the children in the program are alive. We had no deaths due to the cyclone. We went to visit their houses and found everyone looking for a safe place due to the rain. 80 of the 90 children lost everything since their houses were poorly built. Even the milk they had received was lost. They are without food or blankets. 10 children are without a roof because they flew away. The energy and water is being gradually restored. The immediate need for Tessa Grace's children is food, medication and water purification. In spite of losing parts of the roof of the clinic we are attending the people who are coming daily looking for medical support. Many people are coming because of malaria and diarrhea. Cholera is also a problem due to both garbage and accumulated water in all the neighborhoods, which allows for mosquito breeding. In the clinic we need malaria and cholera drugs. All project life patients are alive. Of the 370 patients enrolled in the project, more than 200 patients lost the roofs of their homes and 100 saw their homes completely destroyed. All families are without food. This week our activistas are visiting the homes of the patients to encourage, comfort, and bring the message of hope to their families. They are also talking to them about how to avoid the risk of cholera. The urgent need for Project Life is food. All the activistas are in good health. 10 activistas lost parts of their roofs. Their food supplies got wet and some of their work materials were destroyed. Their needs are food, binders, notebooks, t-shirts, and Bibles. Below are a few of the pictures that our partners have shared. An enormous amount of help will be needed as things begin to calm down. As mentioned medical care, food, water and housing are all pressing needs. The Dondo Church, El Shaddai School, Tessa Grace Center and many homes will need repair. Our Mozambique Emergency Relief Fund will benefit those within reach of our Ray of Light Project and beyond. Our goal is to raise $100,000 dollars for these relief efforts. Please help if you can.